Do you have a happy place to go to within your home? 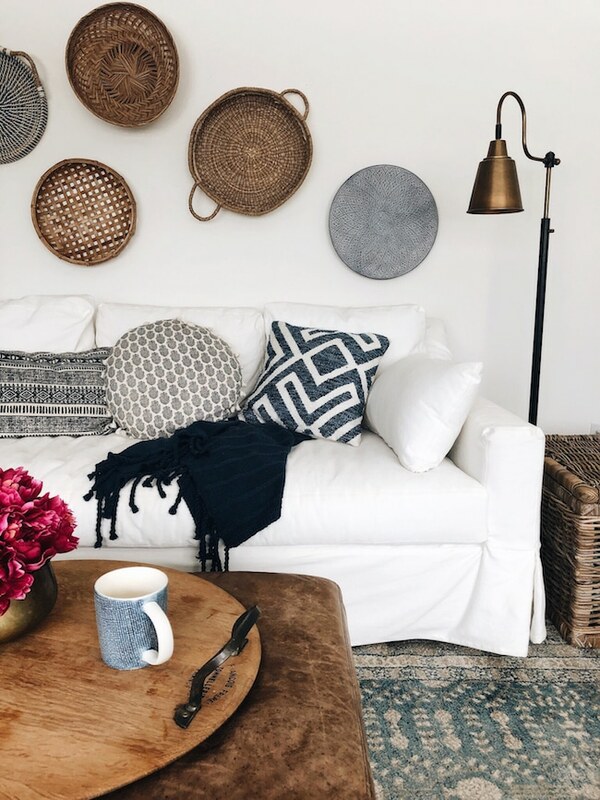 Maybe it’s the chair you go to soak in a moment of peace, or a room you sit in to bring a little more joy, or the spot in your home where you go when you need to reenergize yourself or to feel more inspired? 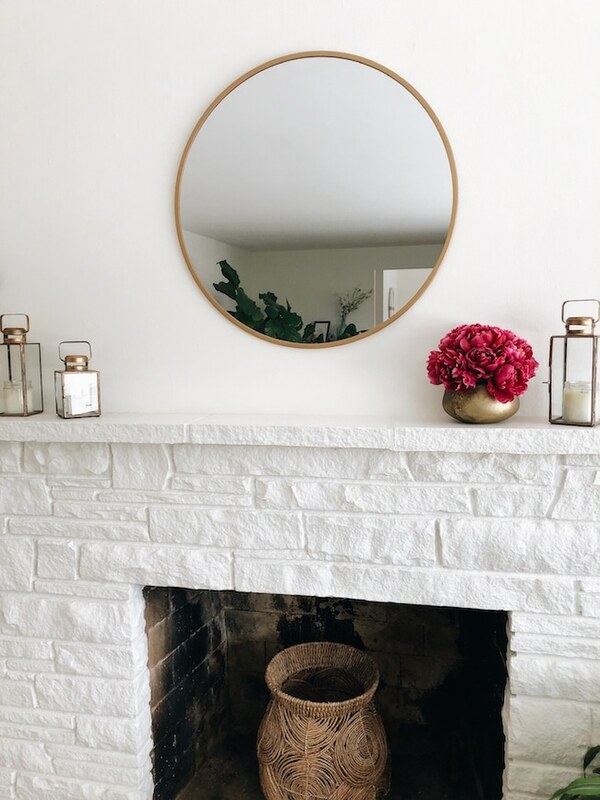 In my “homebody manifesto” post, I talked about how often we are told to offer ourselves self-care by heading off somewhere other than our home. Of course, a “happy place” can be somewhere else in the world. Maybe on a beach. Or in the mountains. Or at a boutique hotel with room service. Those can be very happy places because we feel like we can leave our cares behind. But I have found I feel my best overall when I create restorative spaces in my home where I feel happier, too. 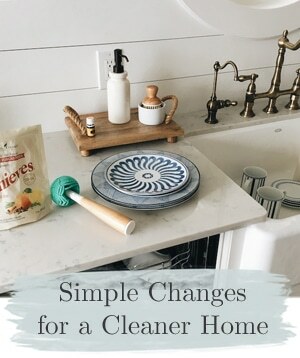 Home is where a lot of our life is lived, so I’ve observed that there are lots of little decisions we make there every day that can greatly impact how we feel. 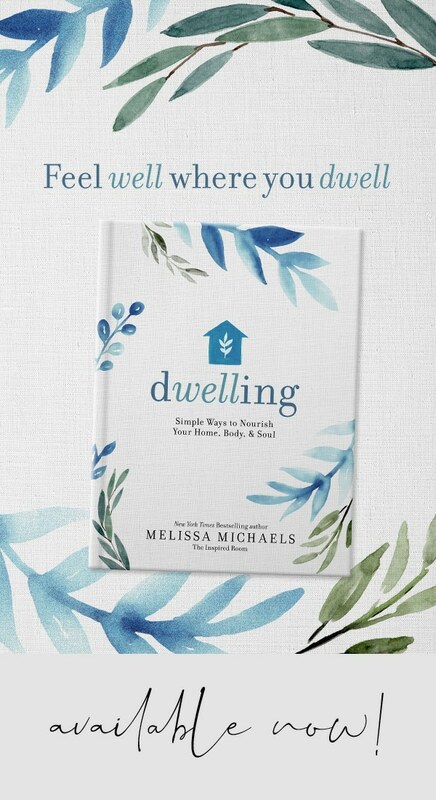 My new book Dwelling is all about feeling well where you dwell (it’s not just about our home but in how we take care of ourselves there, too). 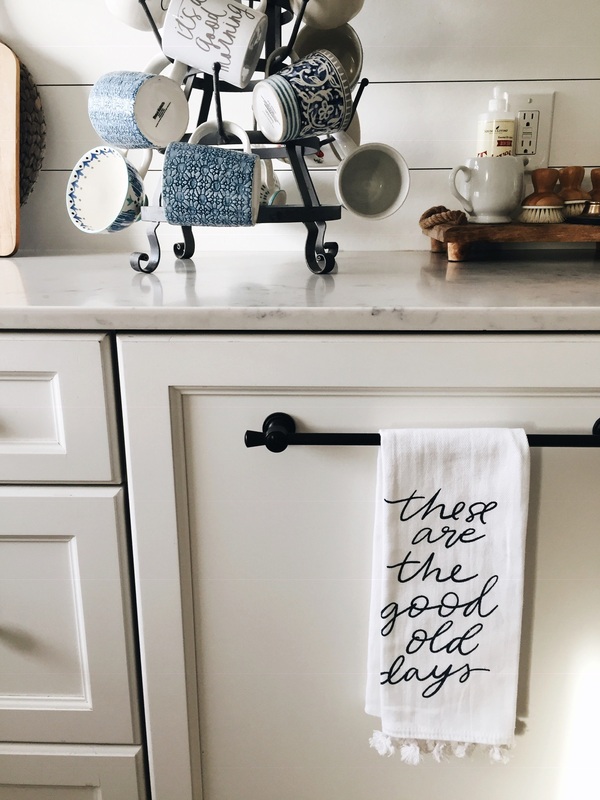 While a perfectly designed room or new furniture could offer a very happy place, a happy spot is not always about having all of the perfect “things” we want in a room. 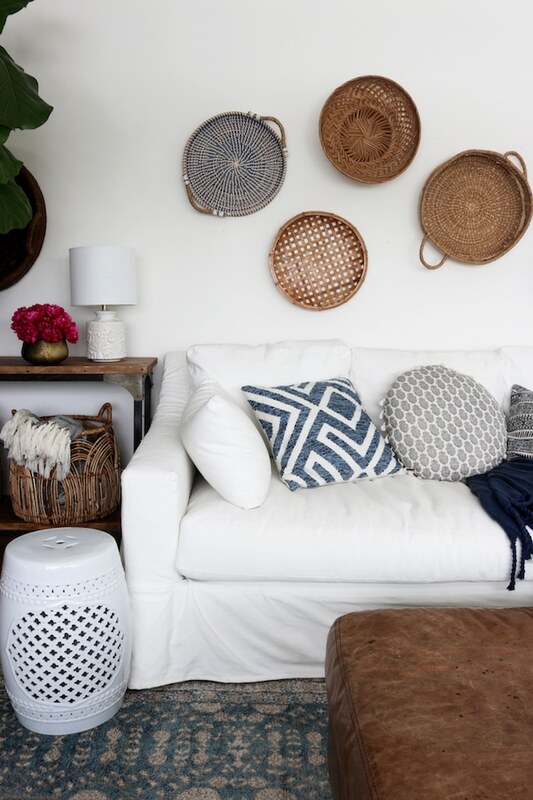 Sometimes a happy place means you will claim one clutter-free corner for yourself. 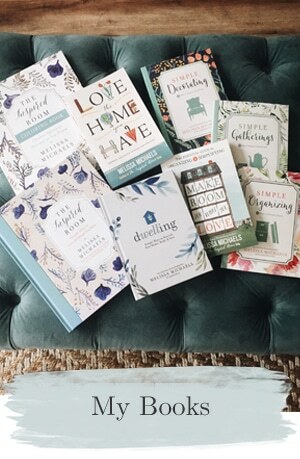 Maybe it means arranging one shelf to bring joy in an imperfect place. Maybe it’s about cultivating the “happy mindset” we need to see the gifts in a space right in front of us. 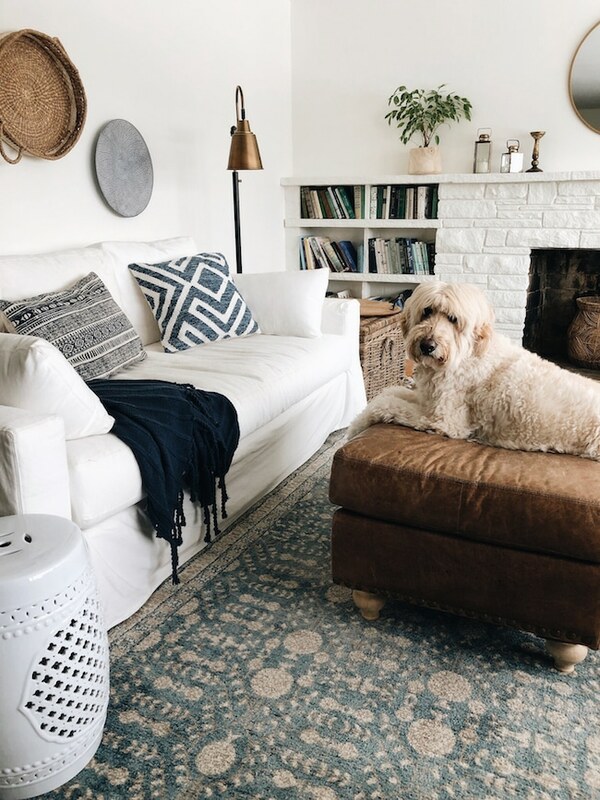 Of course, people or pets can bring happy to a home, too! 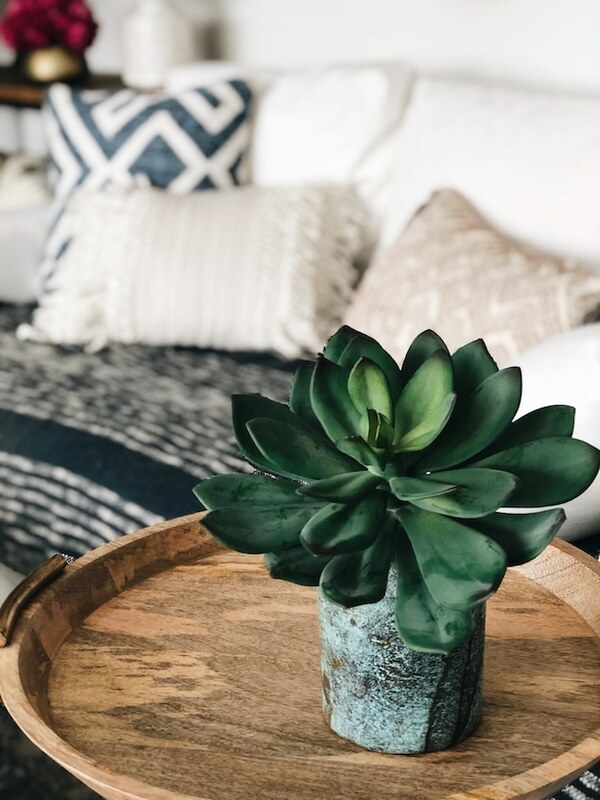 Wherever and however you find more joy in your home, I think having at least one spot where you know you can go to soak in some happiness can be a gift to yourself! In my house I’d probably say I feel my happiest when I’m curled up on my living room sofa. Besides being where my people and pups are, I think it’s a happy spot because during the day or sunset hours I can enjoy the light and view through our windows. Being there brings more joy to my day. We intentionally positioned our sofa in the living room and a bench in our dining room so that we can sit in either spot and look outside. We could have arranged our rooms differently, but that decision (among many!) has had a positive impact on my well-being. 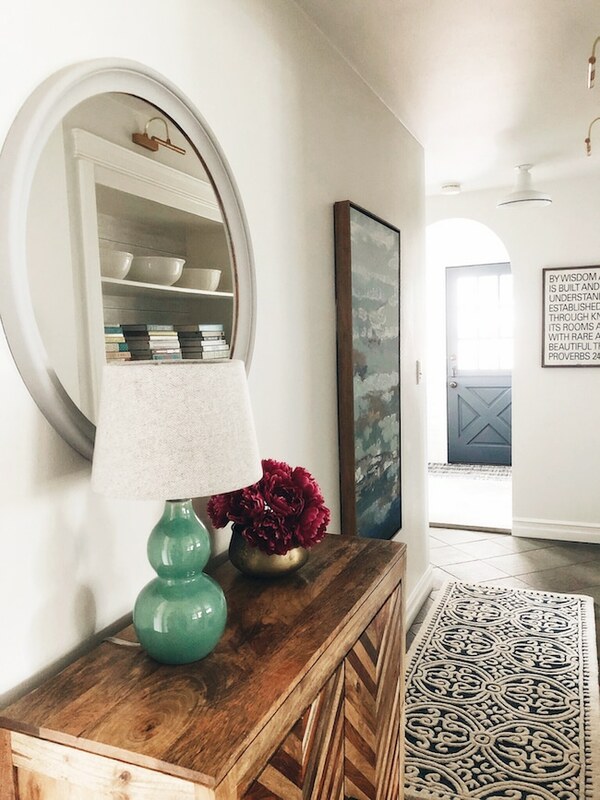 Whether or not we have the perfect rooms or make ideal choices from a design standpoint, the decisions we make to improve how we feel in our home matters most of all. Where’s your happy place in your home? I’d love to hear about it in the comments! If you aren’t sure where your happy spot would be, maybe it’s time to create a little nook for more joy this week! 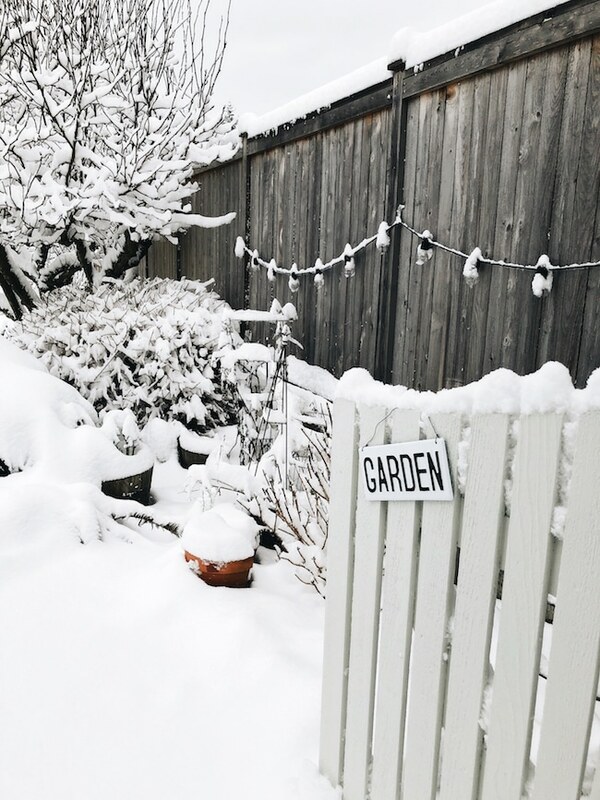 After a week of several back-to-back snow storms here in Seattle, I think it’s safe to say we’re ready for spring! Don’t get me wrong, I’ve been in homebody heaven! 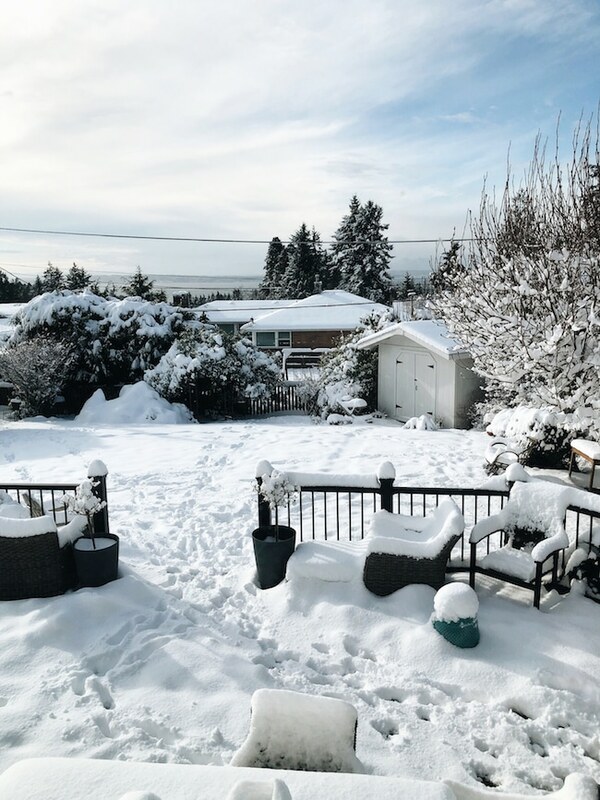 I love staying home and we don’t get snow like this very often, well, basically never. 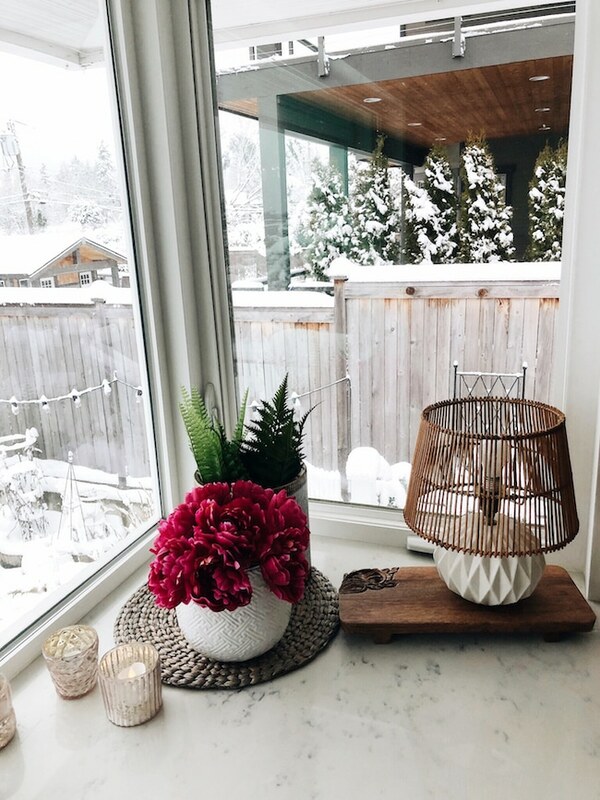 Even though I’m loving the cozy Hygge vibe right now in my house, I still really am excited about spring. And actually, being buried in snow was the perfect excuse to do a little spring nesting. 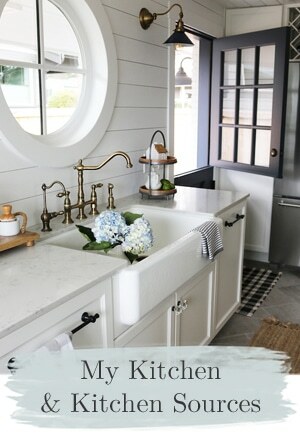 Today let’s talk about some super simple, get ’em-done-so-you-can-enjoy-them spring refreshes around the house. 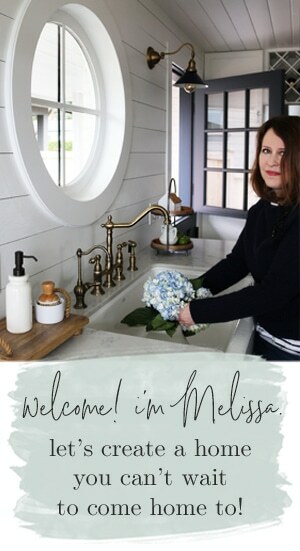 Specifically, I’ll share THREE rooms I refreshed this week around my own home. After a long winter I start feeling a little restless staring at the same things over and over, so I think a change in scenery can be a real mood-booster. I know for some people, a change of scenery probably means laying out on a beach somewhere. :). Bless. Not me! I’m taking the whole Go Big or Go Home mindset literally. Instead of flying off to a sunny location, I decided to hang out in my hallway at home to complete a very (and I do mean very) small project. WHO’S LIVING HER BEST LIFE? This girl. This wall literally had two nails on it all winter. Two nails in the wall, not covered by art. Just the nails :). It was a barren and unsettling space. It didn’t spark anything but sorrow every time I saw it. Every day I’d walk by and think to myself, “self, you really need to do something about that wall”. Pro-tip: I should have taken a before photo so this would be a more dramatic reveal. But I didn’t do anything about the wall. By the time I had the thought that I should do something, I was out of the hall. I decided it was time to change my life and home for the better. 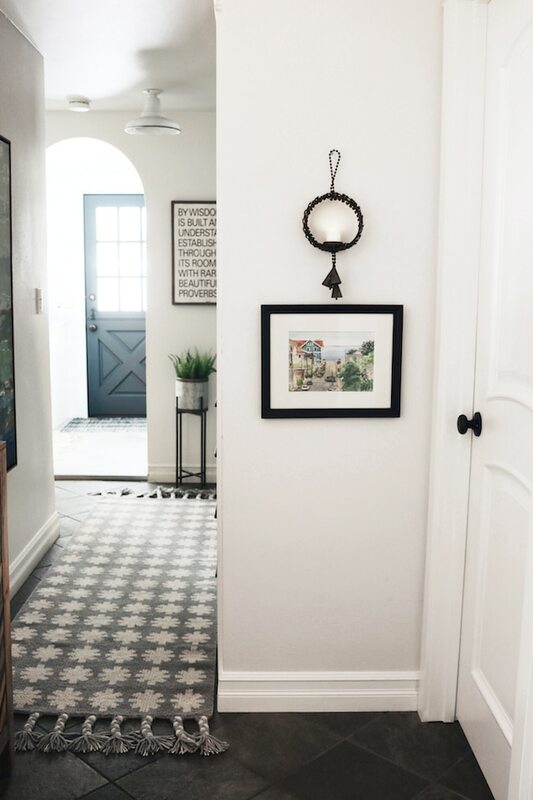 Could I transform the entire hallway in two minutes? Yes. Yes, I could. I would challenge myself to get it done. Just like in yesterday’s project, DONE can spark joy. But to be done, you have to start. In full disclosure, I didn’t relocate the nails for this project because I couldn’t get them out of the wall and I didn’t want to look for the hammer. Don’t judge. I reminded myself that this isn’t open-heart surgery, I can always rearrange later (which we both know I won’t do, but that’s beside the point.). Now it was time for the transformation. I grabbed a framed painting off a different wall (one that wasn’t as critical to my well-being) and I set it on one of the nails. Then on the other nail I hung this adorable metal candle holder (with a battery operated votive) I had picked up at World Market. Was it an unexpected spot for it? Yes. Did it pass the spark joy test? YES IT DID. Now to bring in some greenery. I had a plant in here at one point, but it just wasn’t happy with the lack of light so I had to move it. 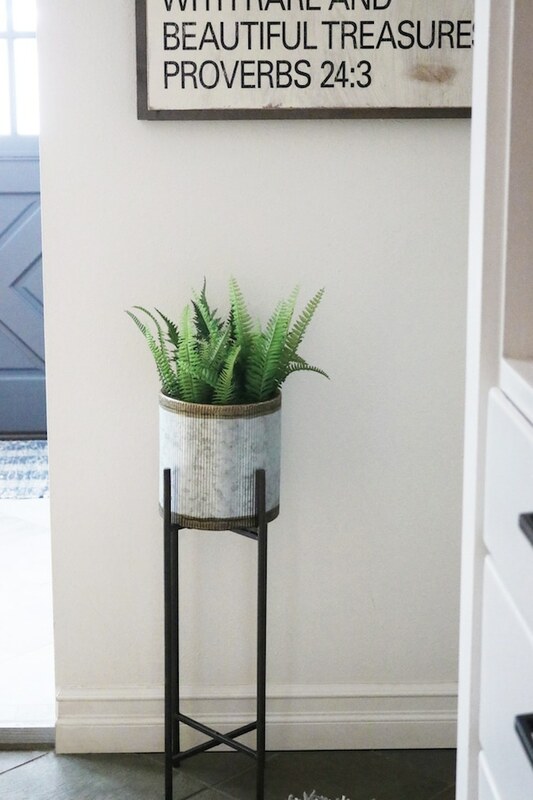 I had intended to use this galvanized plant stand and a few faux ferns from World Market in another spot, but suddenly I thought about how much better this hallway would feel with greenery. 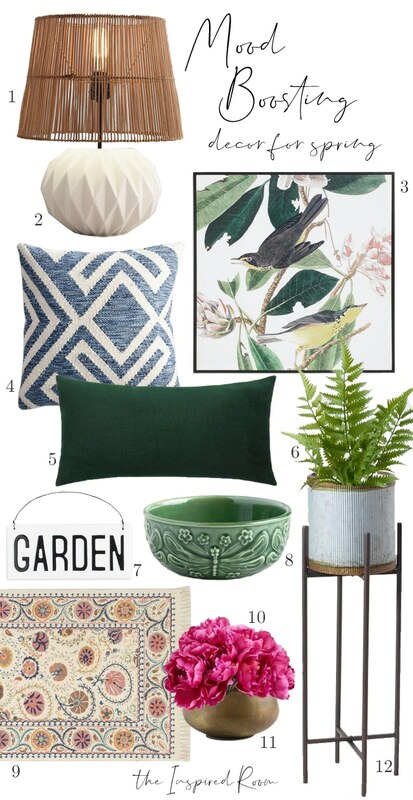 And what better spot to use faux plants than in a room that doesn’t get much natural light? The stand is such a convenient size to tuck in just about anywhere! Two minutes later, my job in this hall was done. Now I was feeling extra motivated, so I traipsed out to the side yard for an outdoor room makeover. It took a full two minutes to complete this space, mostly because of the long trek down the staircase through the snow in my slippers. I was limited in what I could do thanks to the the arctic amounts of snow in my backyard, but I’m telling you, hanging this one sign SPARKED MORE JOY THAN I EVER DREAMED. I returned from the garden with a new spring in my step and a desire to stop and smell the roses. Except I didn’t have any roses. Yet, I did happen to grab a faux succulent and a bright bouquet of peonies from World Market. Peonies most definitely spark JOY. For maybe a minute. They don’t bloom nearly long enough, IMHO. But this time of year, bright pink faux peonies can bring almost as much joy as real peonies. 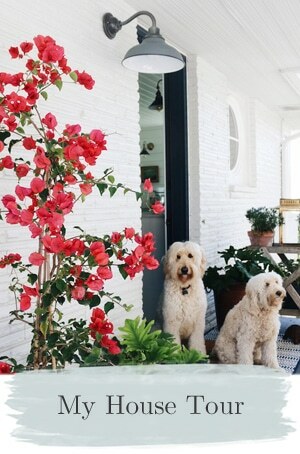 How could you not feel happier with a pop of pink flowers in your home? If that isn’t enough mood-boosting joy for you, go even BIGGER and make your own miniature garden! 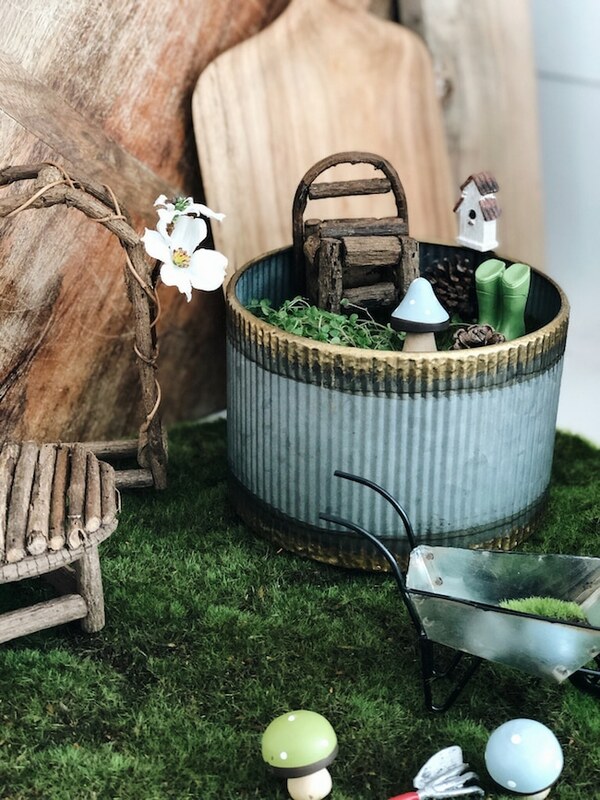 World Market has sweet little fairy garden accessories and vessels you could use to make one! Perfect weekend activity. It’s like therapy, really. 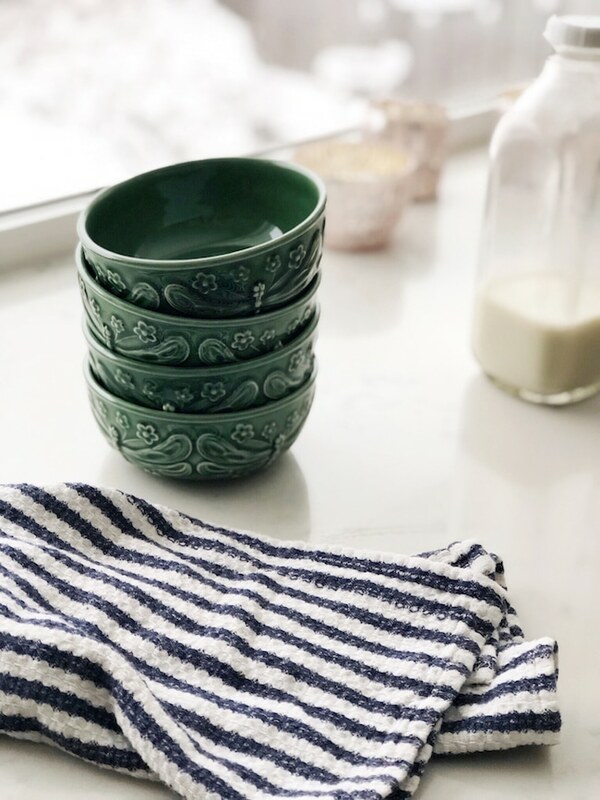 My three Mood-Boosting Spring Room Refreshes are complete!